I gotta say this band is really hard to look up. You look up the word “Apartment” logically a picture of a British Band isnt something that pops up. 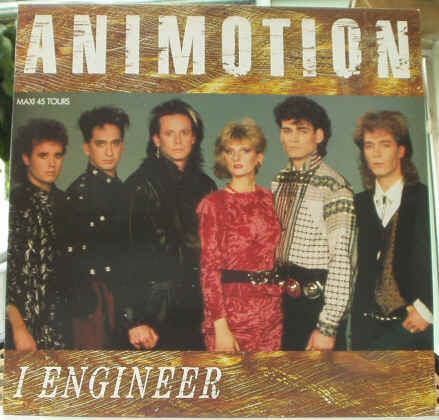 Yet because I am so determined I have found a pic of the band, a video of the band, and yes even a bit of wiki knowledge although I must be honest there wasnt much on them. British band from London who formed in like 2005. Yeah thats pretty much all I need to know in terms of history. Whatever, all I know is the lead singer David Caggiari has an awesome voice and the sound of the band in general is fun, nostalgic, and rockin’. The Dreamer Evasive is their cd. I think its the only one they have out right now. I know they have a new single out which is cool but no new album. David has this vibrato to his voice that reminds me of Martin Gore from Depeche Mode and the sound the band has reminds me of 80s New Wave which just makes me reminiscent of “Da Mode” even more. Its like Depeche Mode meets The Killers…. but in a totally good way I swear! If you like 80s music but also enjoy alternative brit rock/pop then I can assure you that you will enjoy Apartment. Just my opinion. I notice how I will say what I PERSONALLY hear only to be told “Wha? Natalia are you on crack? Where do you hear THAT?! ?” Whatever, I swear thats what I hear, deal with it. Hmmph! My favorite song is Pressures. It just runs the gamut when it comes to sound. Its poppy, then brash alternative, then new wavy, then emo, its just all over the place yet Apartment makes it sound precise and together. Confusing? No worries you will understand after seeing and hearing the video. This is the promotional video to Pressures. Enjoy.